The U18s unfortunately came up short against a fast finishing West Adelaide at City Mazda on Saturday. We started the game kicking with the advantage of a 2-3 goal breeze. Despite West Adelaide seeing more of the ball in the first quarter our boys went in to the first break in front with a one goal advantage. The second quarter was an even battle in possession count and scoring with our guys holding onto a 5 point lead at half time. The third quarter we took advantage of the breeze again and managed to kick ahead by 13 points. 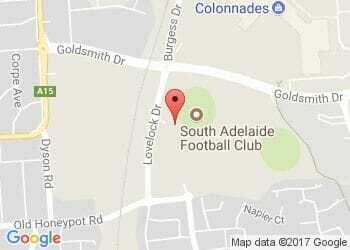 However, in the final term West Adelaide were much better than us. They won the ball first and used it better with the wind than we had been all game. Best for us was Robert Irra, Jesse McKinnon, Jess Fitzgerald and Joseph Tylliss. With only two minor round games remaining and coming up against the bottom side it was important for us to remain focused on the immediate ask at hand to get off to a fast start. To the players credit they certainly locked in early, playing fast team football and piling on seven goals to one with the aid of a breeze in the first quarter. Our second quarters have been our slowest all season. We reinforced this during the break and highlighted the importance to run and carry the ball. The boys responded well again and we managed to win the second quarter four goals to two and go in at half time with a 52 point lead. We have been in this position a couple of times throughout the season and have not been able to put our foot down and really finish the game off. Once again we came out of the blocks slow and West Adelaide lifted their intensity and we only managed to break even for the quarter. The final quarter was also an arm wrestle, one we won by just two points, and finally we came away with a 54 point win. In terms of individual performers, Job Colwell was outstanding with 30 possessions, along with Hayden Sampson, Tyler Davies, Sam Whitbread, Jonty Manuel and Tom Sparrow. With our last minor round game coming up against the Eagles on Saturday it's really important we play a solid four quarters as we head into the finals.